Clallam County Fair turns 100! The Clallam County Fair is celebrating their 100th fair with the theme: “Red, White and Moo. It’s our 100th Too!” With current weather conditions, summertime and the fair may seem like a mirage in the distance, but it will be here before you know it. Fair preparations are already underway, and this Saturday will be the Fair Royalty Coronation. We at BrokersGroup Real Estate Professionals are so excited to be sponsoring one of this years contestants: Rebekah Parker. "Rebekah is 15 years old and a sophomore at Sequim High School/Olympic Peninsula Academy. Her parents are Chris and LeAnn Parker. Rebekah's activities are drama, having participated in several plays at Olympic Peninsula Academy. Her hobbies are guitar, piano, photography and singing. Her future educational plans after high school are to receive a AA in Multimedia." We hope you’ll come on out to the fairgrounds to support this years royalty contestants, and give an extra round of applause for Sequim’s own Rebekah Parker! Open to the public, free of charge and fun for the entire family. 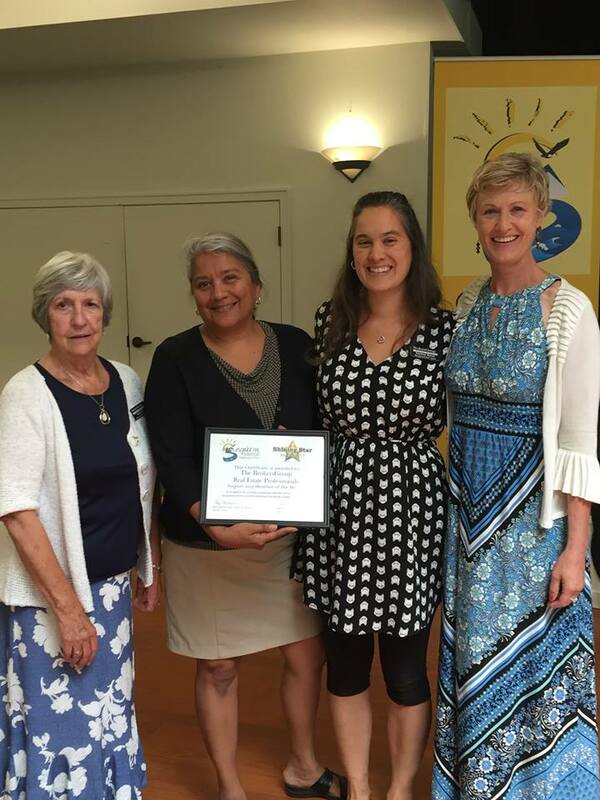 At BrokersGroup, 'Making it Better for Someone... Every Day' is at the heart of all we do, and we were so honored this week when the Sequim Chamber of Commerce presented us with their 'Shining Star' award. Awarded by the Chamber from nominations given by fellow Chamber members, the Shining Star award goes out to businesses that provide outstanding customer service, showcase exceptional services and demonstrate Chamber & community involvement. Chamber members since we founded BrokersGroup Real Estate in 2007 we have always been committed to community service and giving back. As our business has grown so has our involvement in community and Chamber activities. We look forward to many more years of serving those in Sequim and the surrounding areas, and we appreciate the support of our fellow chamber members, clients and friends. Thank you! Hip Hip Hooray, it's our Birthday! That's right, BrokersGroup Real Estate Professionals is 10 years old today! On April 1, 2007 we started BrokersGroup Real Estate Professionals in a small office complex right off Hwy 101 in Carlsborg, just outside of Sequim's city limits. In 2008 we moved to the heart of downtown Sequim; into the former Clallam Title Company building and previous home of local real estate pioneer Peter Black. This building was completely remodeled to suit our needs while striving to maintain the charm of it's historic age and history. Our 100 year old office building certainly lends to Sequim's history and we feel privileged to have been chosen to host one of Sequim's 'History Murals' on the east side of our building. We invite you all to come join us as we celebrate 10 years of serving our community and the surrounding area. We will be hosting an Open House with live music and food on April 14th from 5-7pm. There will be a ribbon cutting by the Sequim Dungeness Valley Chamber of Commerce and it's Ambassadors at 5:15pm and all are welcome. We hope to see you here! The float has been unveiled! Last Saturday was the Irrigation Festival Kickoff Dinner, and one of the highlights of the night is the unveiling of this years float. With last years float winning awards at every judged parade it entered, this year's float has a high bar set. Yet once again, the float team did not disappoint, and what was unveiled is truly astounding! We're really excited about the float this year. It fits the theme '122 Skies of Blue' beautifully and features a high-flying, death-defying bi-plane. Wow! Also unveiled at the dinner was the Royal Court's musical number for this year. Set to the tune of Disney's 'Under the Sea' audiences of all ages will enjoy the royals description of just why we celebrate irrigation and what the festival offers. It also provides a nice peak into the Royalty's platforms and pursuits. Hope to see you out and about this festival season; celebrating one of the events that makes this town so special. For a list of what's going on and when visit the festival webpage here. Sequim .... Where Water is Wealth. With a heavy heart we announce the passing of our own Rod Normandin. On January 10th Rod suffered a heart attack late in the evening. We were all devastated and shocked when we learned of his passing early the next morning. Rod has been a member of BrokersGroup Real Estate Professionals since its opening almost 10 years ago. He is a long time friend of the owners and was considered family by his office friends. He was a respected member of the real estate community, and will be missed by so many. He brought a warm smile and a great sense of humor to our day to day tasks, and was a wealth of real estate knowledge that he willingly shared with his colleagues. A memorial service will be held this Sunday, February 12th at 2pm at the Dungeness Community Church - 45 Eberle Lane in Sequim. All are welcome to come remember Rod with us. The Sequim Irrigation Festival is still several months away, but planning and preparation are already underway. 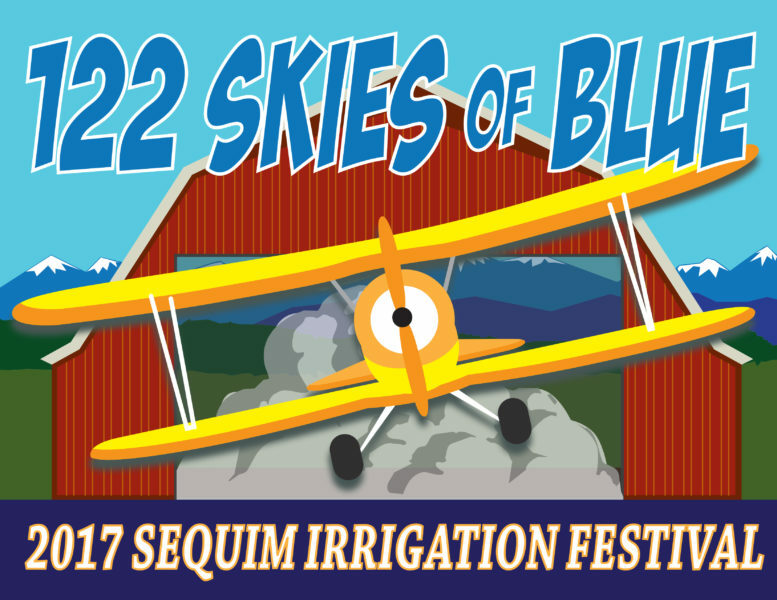 This year's theme is '122 Skies of Blue' and the first big Irrigation Festival event is just around the corner. It's pageant time. Time to decide which 4 ladies will be representing our beautiful city as ambassadors of Sequim. There are 7 candidates this year and BrokersGroup Real Estate Professionals is proud to be sponsoring the lovely Miss Abby Norman, as she prepares to compete for Irrigation Festival Royalty. Abby is a Junior at Sequim High School. She is an active member of the SHS Leadership Class which donates over 100 volunteer hours each year, as well as an Honor Society student maintaining a steady GPA of 3.85. She and her family have traveled across the US, Canada and Europe which has given Abby the opportunity to get a first hand look at other ways of life, and give her a deep appreciation for the place she calls home...Sequim. Dancing has always been a part of her life and with 11 years of ballet training it's no surprise that Abby soon found a passion for the theater and singing as well. She has performed in numerous local ballets, plays & musicals and was even fortunate enough to be able to choreograph the Sequim High School's 50th Anniversary musical Cinderella, which also won her a nomination for the Outstanding Choreography Award in a high school musical from Seattle's 5th Avenue Theatre. Her Freshman and Sophomore years she was a member of the Washington All State Symphonic Choir and is currently a member of the Vocal Ensemble as well. She has served her peers as the Sophomore Class President and the Junior Class Spirit Commissioner. She plans to attend Reed University in Portland to earn her Doctorate Degree in Pediatrics. If chosen as a Royal, she plans to organize a Blood Drive for the High School, if possible or assist with blood bank with local drives. We are honored to be her sponsor and invite you to join us in cheering her, and the other candidates on in the 122nd Irrigation Festival Pageant. This event takes place Saturday February 11th at 6pm in the Sequim High School Auditorium. Tickets are $8 each and on sale now at the Sequim Chamber of Commerce. For more information about the Sequim Irrigation Festival and all of its events, please visit their website. 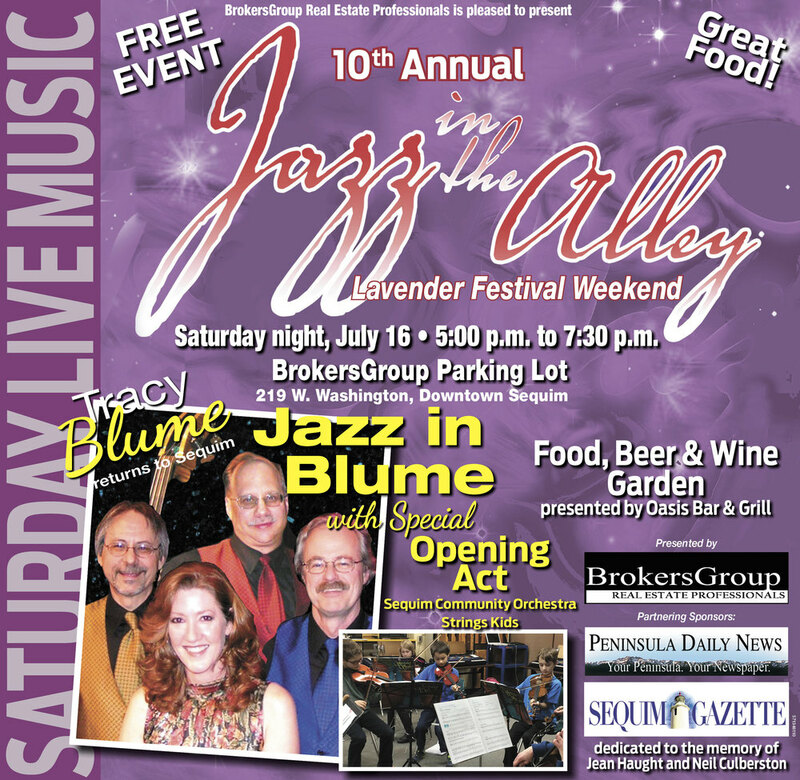 Jazz in the Alley & Lavender Weekend ... it's that time again! Lavender is in full bloom here in Sequim and that means Lavender Festival weekend is upon us. The best part of Lavender Weekend here for us? Jazz in the Alley! This year marks the 10 year anniversary of Jazz in the Alley and BrokersGroup Real Estate Professionals is proud to be sponsoring it once again. This year's anniversary brings a special treat. The Sequim Community Orchestra String Kids will be the opening act for Tracy Blume and her Jazz in Blume band. Tracy was one of the founders of Jazz in the Alley, and even though she's no longer a Sequim local she has had a heart for the community event since its conception in 2007. We are so glad to be welcoming her back to Sequim for this anniversary event. Our very own Neil Culbertson was an integral part of Jazz in the Alley and contributed greatly to its growth until his passing last July. We are so glad to have Tracy here, and to be dedicating this year's performance to Neil Culbertson and Jean Haught, a Sequim business woman, lover of jazz and promoter of arts in Sequim. Besides Jazz in the Alley. Lavender Weekend brings many opportunities to see live musical performances, attend lavender processing demonstrations and enjoy fine lavender foods. For more information about all things lavender and Lavender Festival related visit the Sequim tourism page. Several businesses around Clallam County have been selected to host painted doors as part of Habitat for Humanity of Clallam County’s Artistic Door Event, a fundraiser supporting the 25 year anniversary of HFHCC. We are so proud to be able to feature the artwork of local Sequim artist Natalie Andrzejeski. Natalie is a lifelong artist having developed a passion for painting as a little girl living in New York City. Her 4th grade art teacher encouraged her students to explore every medium imaginable, and to this day she can’t say she likes one over another. Art followed her throughout her adult life as a hobby until she was asked to volunteer her time to paint a piano. For the last 4 years she has devoted her time and efforts into bringing awareness to the benefits of art and music. Shortly after moving to Sequim 2 years ago, she left her 8-5 job to pursue her passion. She is currently a photographer, a traveling commissioned artist and has a growing business called Pour, Sip, Paint through which she brings the joys of painting to homes and businesses around the Peninsula. Her painted door will be on display here at BrokersGroup Real Estate Professionals through April 10th. All the doors will be available for viewing and several of the artists will be present at the Artist Reception & Preview on April 15th. The doors will go up for auction during HFHCC’s Taste of the Peninsula event on April 16th at the Sunland Golf & Country Club. The event is a fabulous opportunity to support a wonderful cause while enjoying exceptional cuisine and wine from right here on the Olympic Peninsula. Stop by our office to catch an up close and personal look at Natalie’s door! This past weekend the Sequim Association of Realtors hosted their annual Installation Banquet to thank the 2015 officers and swear in the 2016 officers. Among those being sworn in was our very own Hazel Ault. Hazel has been the designated broker for BrokersGroup Real Estate Professionals since we opened in 2007. She has been an active participant and member of the Sequim Association of Realtors since 1990. Since then she has served in several capacities including Chairman of the Education Committee, Local Association Director and RPAC (Realtors® Political Action Committee) Chair. In 2012 she was the recipient of the Realtor® Achievement Award for her steadfast devotion to the Realtor® profession and her community. This weekend BrokersGroup was proud to witness her installation as the 2016 President of the Sequim Association of Realtors® but the fun didn’t stop there! Our own Judy Stirton was awarded the 2015 Community Service Award for being a fearless and passionate advocate. Her ongoing work and commitment to local water issues as well as her volunteerism as President of WAG (Welfare for Animals Guild) make her a truly deserving recipient. We are so proud of her and all she does for our community and its citizens, including the 4 legged ones. Our own Judy Stirton was awarded the 2015 Community Service Award for being a fearless and passionate advocate. Her ongoing work and commitment to local water issues as well as her volunteerism as President of WAG (Welfare for Animals Guild) make her a truly deserving recipient. We are so proud of her and all she does for our community and its citizens, including the 4 legged ones. Hazel being Sworn in by the Sequim Association of realtors executive officer, gina valaske. judy and her coworkers, sara Campbell & kaylene byrne, celebrate after her award acceptance. Well the yard signs are out in full swing, and I’m not talking real estate signs. It’s election time; time to vote. I think we all know someone, maybe even ourselves, who has been guilty of the ‘My vote doesn’t matter, so why bother?’ thought. I know it’s flickered across my mind in the past, and the whole ‘electoral’ vote system has been known to amplify those thoughts and frustrations in me. I’ve changed my way of thinking though. My vote DOES matter; so does yours! For hundreds of years our forefathers and fellow countrymen and women have fought for and defended our freedoms. Familiar freedoms we hold dear such as our freedom of speech and religion. Shouldn't we hold our right to vote as high as the others? It’s a freedom thousands have paid for with their lives. Not only is voting one of our rights as a citizen, but it’s a way for our voices to be heard and a way we can hold those we elect accountable for the decisions they make. It's also a way we can influence the decisions that will ultimately affect our communities and the way we live. If voting is our voice being heard, then what does not voting say? It says more than nothing. It says we don’t care. It says we can’t be bothered enough to answer the question of how we feel about something. If you’re like one of the many people I’ve met who are frustrated with the electoral voting system, then voting should take on an even stronger importance to you. How will the electoral vote system ever change if we don’t care enough to vote on the ‘smaller’ items we’re asked to voice our opinions about? There’s another important reason to vote though; one I think we have slowly moved away from—honor. Our vote honors those who have sacrificed their lives for our freedoms. As a female, I feel I owe a special duty to honor those women and suffragists who went before me and fought so strongly for my voice to be heard and counted. For me, duty and honor are reason enough to send me to the ballot box, and to all our veterans and serviceman, Thank You! Please vote…it really does matter. How about joining us at ‘A Taste of the Peninsula’ fundraising event happening this Saturday April 18th from 5:30 to 8:30 at the Sunland Golf & Country Club Ballroom. BrokersGroup Real Estate Professionals has proudly joined presenting sponsor, Green Crow Corporation, in Habitat for Humanity Clallam County's premier signature fundraising event. Other sponsors include Ray Gruver-State Farm Insurance, Coldwell Banker Uptown Realty, Platt-Irwin Law Firm, Windermere Real Estate Port Angeles and OSP Sling – Olympic Synthetic Products. Habitat for Humanity Clallam County broke ground this year on the Dancel family's home. The event will include music by the Sequim High School Jazz Band under the direction of Vern Fosket. The local food and beverage sponsors, Double Eagle Steakhouse, Alder Wood Bistro, The Sweet Beginning, Crumb Grabbers Bakery, Jose’s Famous Salsa, H2O – Waterfront Bistro, Michael’s Fine Dining, Camaraderie Cellars, Harbinger Winery, Olympic Cellars Winery, and Wind Rose Cellar are sure to make this an event your taste buds won’t forget. The night will feature a fund-a-need auction ~ “Raise the Roof”, as well as awards given to community partners from Forks, Port Angeles, and Sequim. The Gooding family will be the recipients of HFHCC's 27th home.